Warning! Super easy technique ahead! 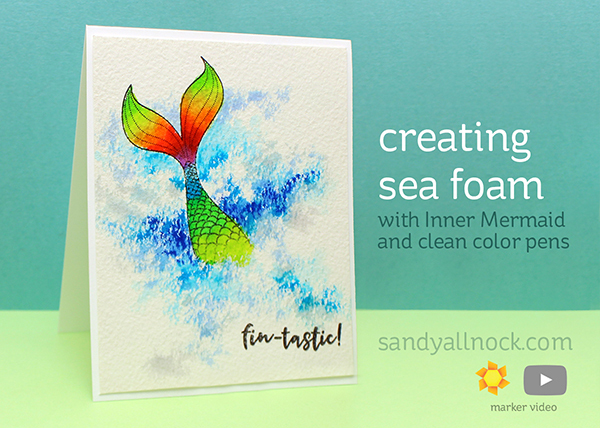 You’ll be looking for any of your stamps to make sea foam with because it’s that easy. And if your markers are dry? It works even better! (Yes I need to order some replacements!) Watch the video below or click HERE to see it in HD on YouTube. This is awesome Sandy, great looking for a simple technique. Thank you so much for teaching this to us! Just awesome Sandy and I must remember to dip my Zigs once they begin drying. That is so cool Sandy – you are such a generous teacher! Thanks! Love how you color this.. Its really beautiful!!!! 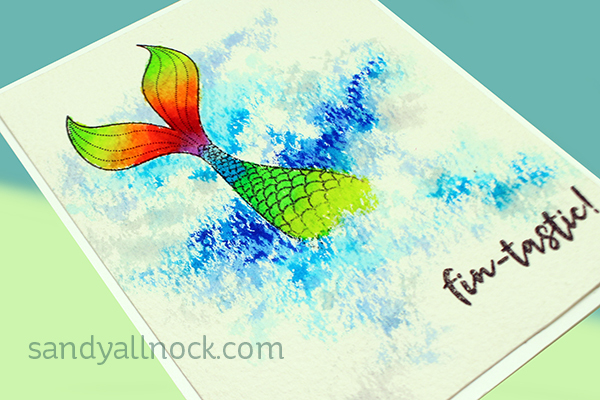 Great spray technique – very realistic. Thanks. Love it, thanks for sharing and also thanks for all your videos. You have taught me so, so much.